One of the many services that we offer on site is RV Storage. 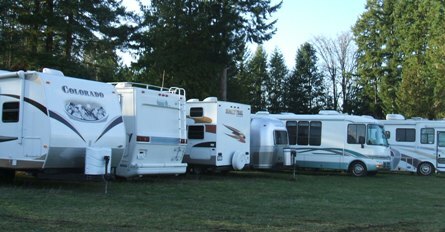 We have a secured lot that many customers have chosen to store their RV on. We offer access to the RV during normal business hours and are always willing to move the unit out of storage at a convienient time for you to pick up. Our pricing is very competitive and no one in Whatcom County provides the onside services that we do for their storage customers. On site propane sales. Never leave with an empty propane tank! If you have a cover, we will put it on for you. Or we can order you one that suits your needs. Onsite winterizing and de-winterizing–or any other service you need done while your vehicle isn’t in use.